In honor of St. Patrick’s Day, we present this week’s lesson – When Irish Eyes Are Smiling ukulele tutorial. 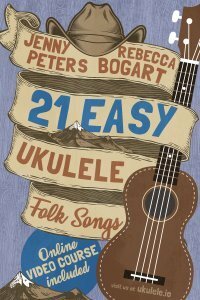 By the way, when you get a chance, check out our latest book 21 Easy Ukulele Folk Songs. 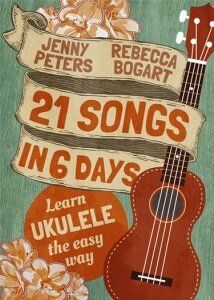 You can get your copy here and learn to play folk songs on ukulele. The ukulele chords for the song are: C, G7, F, A7, D7 and C7. Since the song is in 3/4 time, Jenny uses the D-DU-D (D-down, U-up) strumming pattern. However, you can go with the all-down strums when you’re first learning the song to make it easier. If you want lyrics and chords sheet for the song, contact us and we’ll email it to you. Also, subscribe here and receive weekly newsletters about our featured song and other ukulele lessons. Most importantly, you also get sheet music for the week’s ukulele tutorial. Finally, Jenny’s Facebook live session for When Irish Eyes Are Smiling ukulele tutorial will be tomorrow, Monday. So like us on Facebook if you haven’t yet and don’t forget to join tomorrow’s live lesson. In case you missed the live session, check out the recording on the videos section of our page. Although When Irish Eyes Are Smiling seems like a traditional Irish folk song, it was actually written by three Americans and published in 1912. Chauncey Olcott and George Graff wrote the lyrics for the song whereas Ernest Ball composed the music for it. While Graff and Ball were not of Irish descent, Olcott did have Irish roots, his mother hailing from a small village in Ireland called Killeagh. Olcott, Graff and Ball collaborated to create When Irish Eyes Are Smiling for the musical production The Isle of Dreams. Aside from The Isle of Dreams, the trio also previously worked together in other productions such as The Irish Artist and Macushla. g. In America, popular singers Bing Crosby and Connie Francis released their renditions of the song. Moreover, British folk singer Roger Whittaker recorded and released the song in the UK. We hope you enjoyed this week’s feature of When Irish Eyes Are Smiling ukulele tutorial. 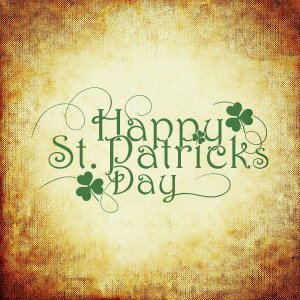 Happy strumming on St. Patrick’s Day!